5 Special Bhai Dooj Gifts for Sister with Express Delivery Options!! Are you looking for express bhaidooj gifts delivery online? If yes, then log on to www.giftalove.com/bhaidooj and explore amazing collection of Bhai Dooj gifts for sister. This is one of the reputable online gifting stores in India. It is offering express delivery of Bhaidooj gifts, sweets and flowers without any delay. It is showcasing thousands of gift ideas for Bhaidooj festival. Bhaidooj is an auspicious festival when your sweet sister observes fast for you and performs special aarti for your well being and long life. No matter how far she is you would be always close to her hearts. She was your first best friend and childhood companion to carry out mischievous tasks. Thus on this Bhaidooj give her a special return gift and express your heartfelt emotions in form of gifts. For your little livewire (sister) who is full of energy and cuteness, get this awesome gift pack. This special Bhaidooj festival includes an adorable Teddy bear, two small dairy milk chocolates and a colour show nail polish from Maybelline. Kid sisters like cute and adorable gifts like soft toys. Yummy chocolates are the best Bhaidooj treat. For your grown up sister, who has all the important items like smart phones, tablets and wrist watch. Thus you can give her this emotional ceramic mug with sentimental quotes. This beautiful coffee mug would always remind your sister how much affection you have for her. Whenever she would be sad, this coffee mug would remind her she has a brave brother who will solve all problems. 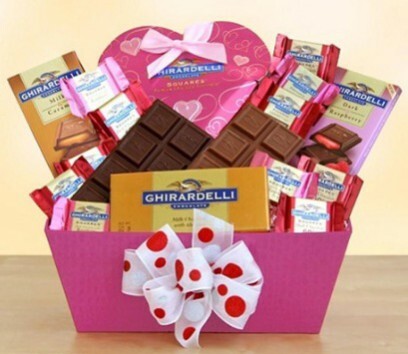 For gourmet sister, an elaborate chocolate bouquet would be a nice gift hamper. This special chocolaty delight comes with big Dairy Milk chocolates, 24 pieces of Ferrero Rocher chocolate box, 4 diary milk silk and 10 small nestle perks. Your sister would jump out of excitement on receiving such delectable Bhaidooj gifts. She would like to share some chocolates with family and friends. This is a healthy choice for your beloved sister. Get this traditional potlis containing lip smacking mixed dry fruits net weight is 500 grams. It has cashews, almonds and raisins. Also get free delivery of roli pack and chawal for Bhaidooj tikka. This hamper is deliverable to all over Indian cities. Nothing can beat the delightful taste of traditional sweets. Bhaidooj festival is celebrated on the 5th day of Diwali week. Thus buy this special sweet hamper and follow the tradition. Bring extra sweetness into the relationship. This hamper has 250 grams of Soan Papdi, 500 grams of dry fruits mixture of Almonds, Cashews and packs of Roli-chawal. These are five top selling Bhaidooj gift ideas for sister. Log on to Bhaidooj.giftalove.com and explore vast array of Bhaidooj gifts at best price range. This genuine gifting site has vast network of international shipping for Bhaidooj gifts to all across UK, USA, Canada and Australia.